Everyone has thought or said at one point or another whether to their travel agent, friend, spouse, or family member, "When should I or We book book this trip?". I'm not sure whether or not your agent has told you, and at the risk of sounding like a sales pitch, the answer is RIGHT NOW! As it pertains to guided vacations, they're pretty fixed; however, there are a few things working against you and they are: Time, Space, and Air- Fare. Let's discuss these three culprits in detail... As you know, time waits for no one. There, I said it! It's just a fact. Whether we like it or not, a second, a minute, an hour, a day, a week, a month, and a year, will go by, and with it, a lot of opportunities. Whether those opportunities are chances to save money or taking that space as yours, depends on the circumstances; however, I can tell you, that when it pertains to travel, it's always about saving and space. The third and final culprit is Airfare... Although a guided vacation works hand in hand with flights, those flights might not yet be available when you commit to the tour; however, this isn't a bad thing. You see, as Space and Time are two separate entities, they also work together with Airfare. You want to purchase flights the moment they become available for the dates and start & end cities you're visiting from wherever you're traveling from. This will result in you purchasing not only the best fare, but also the best itinerary at the best fare! These dates allow us to book flights with either Cosmos, the airline, or third party air consolidator. This is because no matter which way we choose to go with flights, the tour itself will not cancel regardless of how many people are booked. The only caveat would be airport- transfers. 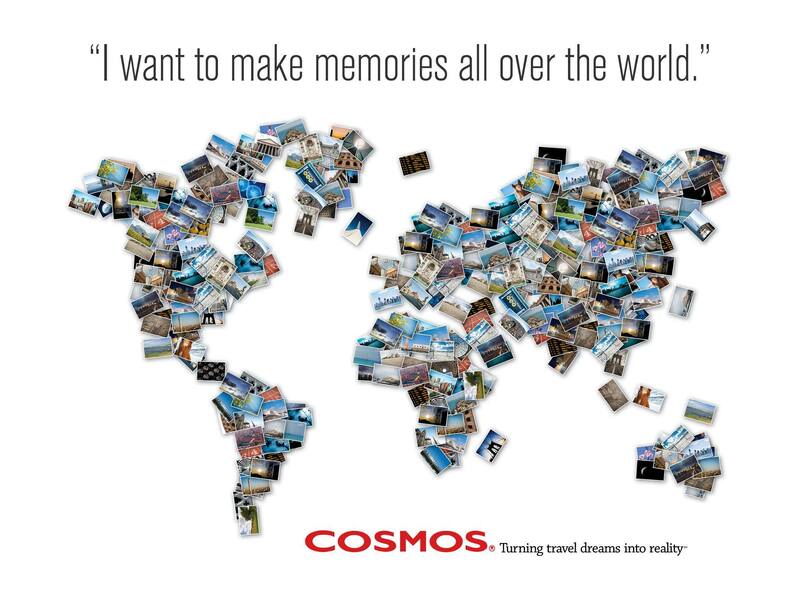 These have a value of $50 per person round trip, and are Free of Charge when booking your flights with Cosmos. Therefore, if you decide to book your flights separately, you would have to purchase the transfers at a cost of $50 per person. All that said, it's important that you you purchase flights at either a significant discount to Cosmos' price or purchase flights that are non-stop in case Cosmos' flights aren't. In short, it would have to be worth it. I certainly hope this article has helped in making your travel plans that much easier when the time comes. Travel is a big ticket item, especially if your traveling with family. It's a decision you shouldn't take to lightly, which is why having a Rock Star travel agent is so important! He or she will make sure to have your best interest in mind when providing options and advice.